When I buy a photo book, I tend to be more interested in monographs than thematic books. But I’ve always been interested in the road trip, particularly in the United States, where this idea is almost as iconic as the European “grand tour” of the 19th century. People have set out on cross-country trips since the car became commonplace, sometimes to move to a new city for a new job, and sometimes for pleasure. Many photographers have done this too, as a way of looking for a way to portray the multiple faces of the United States, and its contradictions. This book, The Open Road, published by the Aperture Foundation (Amazon.com, Amazon UK), looks at road trips by 18 photographers, from Robert Frank in the 1950s to contemporary photographers. In 336 pages, with 248 color and duotone images, this book paints a picture of the United States, as seen through the eyes of a number of great photographers. It makes no attempt to be exhaustive, but focuses on a number of photographers who have made iconic photos in this genre. 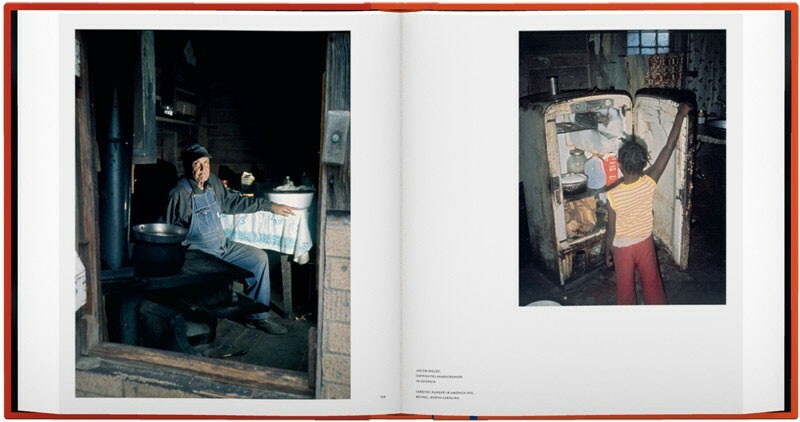 Each photographer has their own chapter, and the chapters run chronologically, from Robert Frank’s 1955-1956 photos through the 2005-2008 photos of Taiyo Onorato & Nico Krebs. 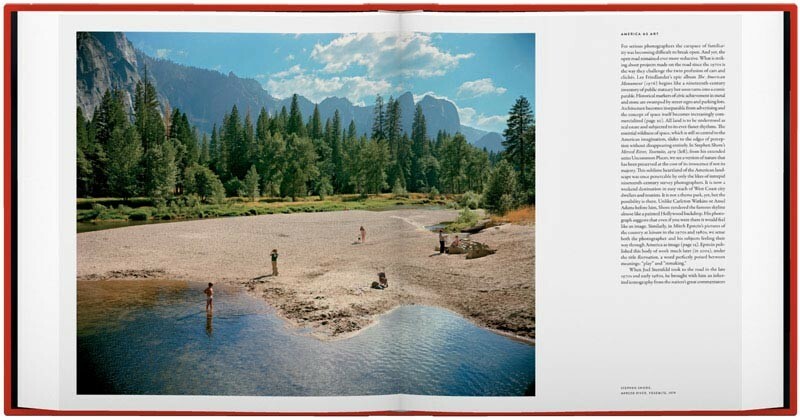 The photographers included are: Robert Frank, Ed Ruscha, Inge Morath, Garry Winogrand, Joel Meyerowitz, William Eggleston, Lee Friedlander, Jacob Holdt, Stephen Shore, Bernard Plossu, Victor Burgin, Joel Sternfeld, Alec Soth, Todd Hido, Ryan McGinley, Justine Kurland, and Taiyo Onorato & Nico Krebs. Not everyone will like all the photos, of course, but this book contains selections of some of the most interesting road trip photos from the included photographers. Not all of these photographers set out on road trips per se, but they all traveled across the US, shooting pictures in different ways. I’m particularly struck by the photos by Garry Winogrand, whose work I don’t know very well. He manages to catch a “street photography” vibe, but not just in cities. William Eggleston is represented by a fine selection of works from his Los Alamos series (see my review of his Los Alamos Revisited). A number of Joel Meyerowitz’s photos were shot from the car, and he said that he realized that “the car window was the frame.” Stephen Shore’s photos of the quotidian, taken from his series Uncommon Places, show an America both familiar and yet strange. Alec Soth’s photos from Sleeping by the Mississippi are oddly disquieting. And Todd Hido’s dreamlike photos show an America that may not exist. Here are a few two-page spreads from the book, and a video that the Aperture Foundation created to promote the book. But they really aren’t indicative of the quality and selection of photos in this selection.